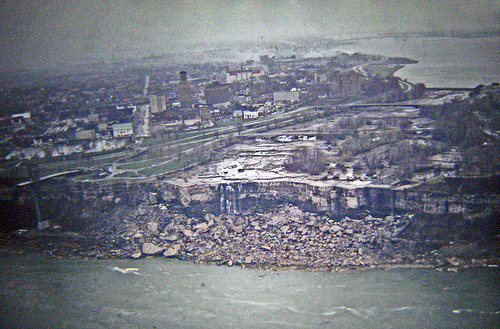 Robs Webstek: Niagara Falls turned off in the summer of 1969. Niagara Falls turned off in the summer of 1969. In the summer of 1969 the water flowing over the Niagara Falls was re-routed via a cofferdam so that engineers could clear debris and do geological work. The idea was to determine the feasibility of removing the large amount of loose rock from the base of the falls to enhance its appearance. In the end the decision was made that the expense would be too great. 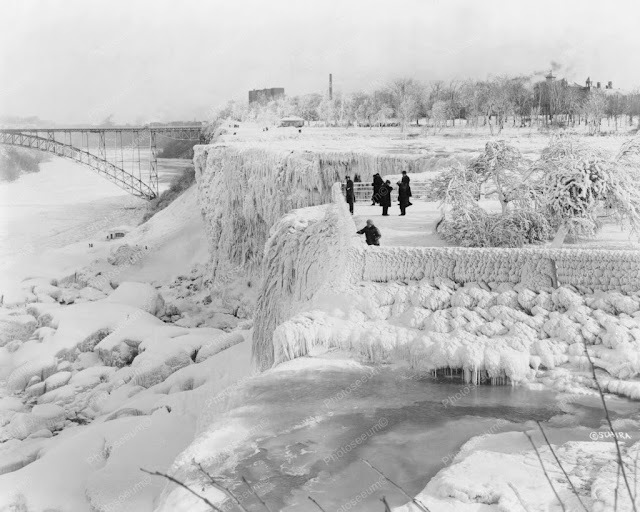 During an extended winter the Niagara Falls can freeze over. When the blanket of ice spans the entire Niagara River this is known as the 'ice bridge'. Since 1912, when 3 tourists lost their lives, it is illegal to walk across the ice bridge. Hi sir, you are lucky. You dont have to go back in time. It froze again. It doesn't look like it would be so difficult to remove the loose rock from the base, in fact it seems easy compared to turning of the water flow! The picture with ice like that is amazing. I thought this was a spoof at first Rob. I'd never heard of the Falls being 'turned off' before . In a way it sems less likely than the natural phenomenon of it freezing. Oh, my! What a scene that must have first hand.